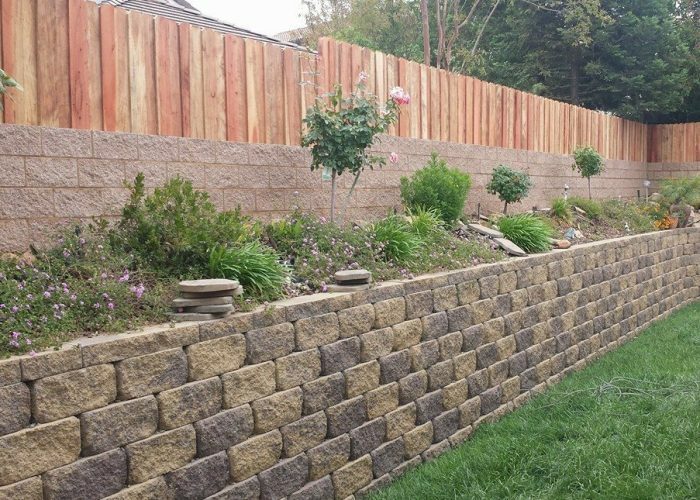 Wood fencing is the most popular type of fence for homeowners—whether for use around your yard, pool, garden, or for pet containment. 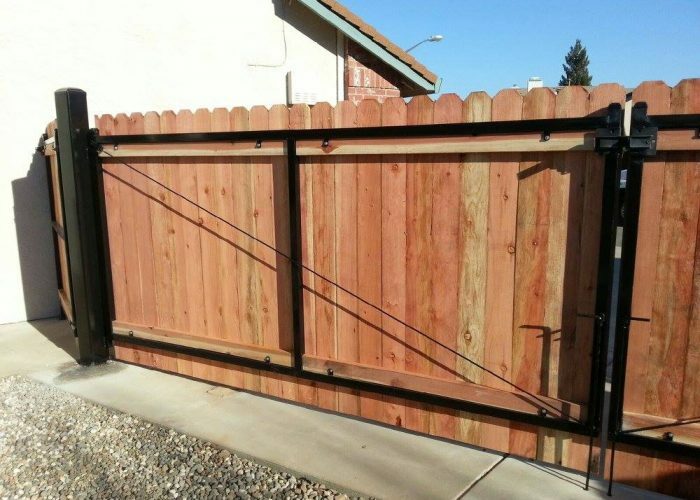 A wood fence and gate offers a great combination of natural beauty and resistance to decay, insects, and weather, all while being a cost effective solution to your fence needs. 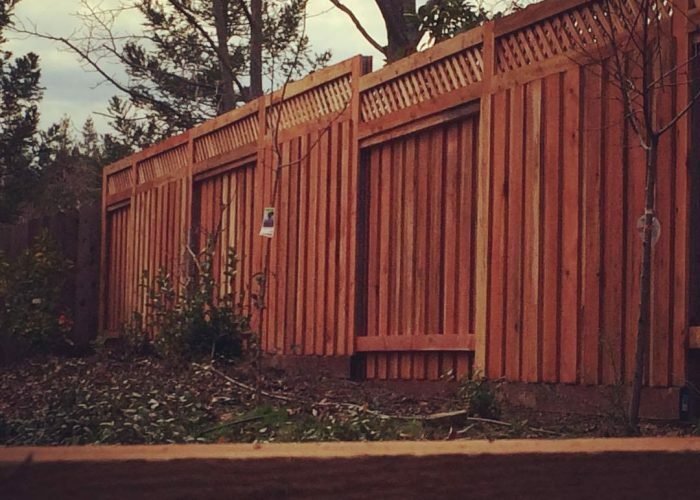 We can work with you to design a wood fence customized to your tastes, or provide you with one of our most commonly installed wood fence designs. 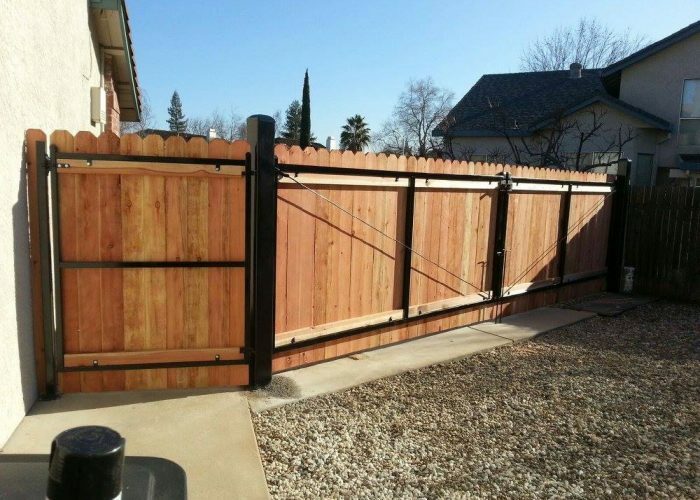 There are a number of different wood fence and gate styles to choose from, including dog-eared, capped, board on board, and lattice topped. 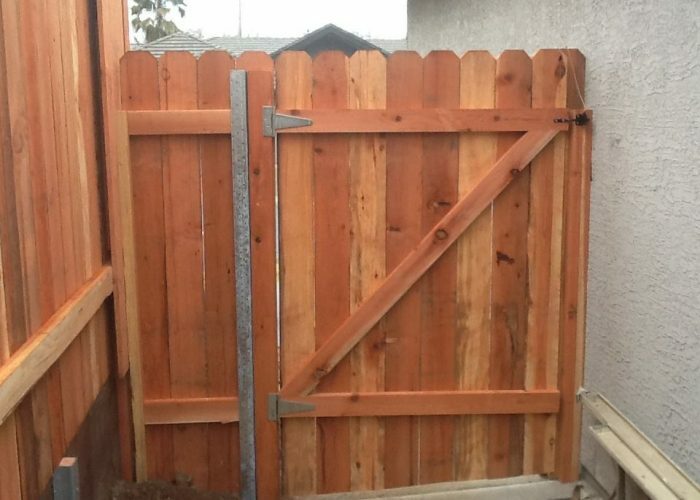 We prefer to make our wood fences and gates out of redwood, cedar, or colored pressure treated posts because of their higher quality, but we can make your wood fence and gate out of other wood materials like fir to fit your budget and needs. 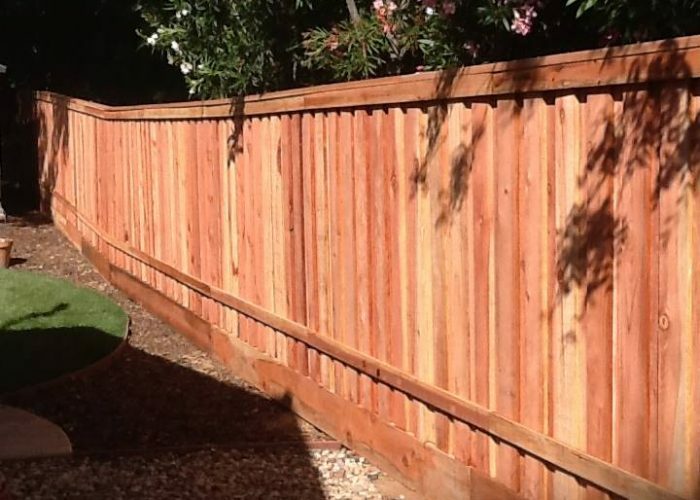 We use posts that match the species of wood you select for your fence and gate (redwood or cedar), and we also offer upgraded posts to increase the longevity of your fence. 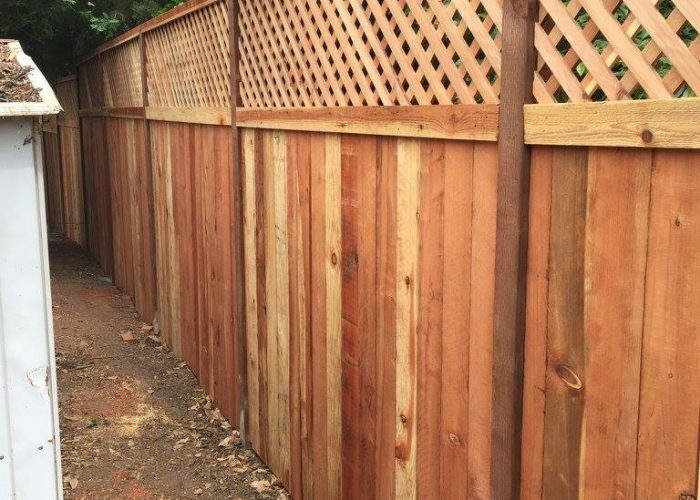 We use U channel steel fence posts due to their higher strength rating and to be able to hide them from view. 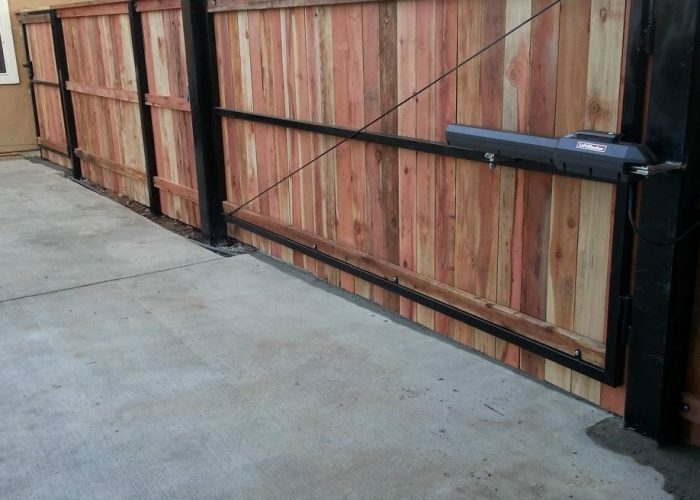 We also use Z channel steel fence posts that are powder coated brown to blend in with the natural beauty of the fence and provide long lasting support and strength. 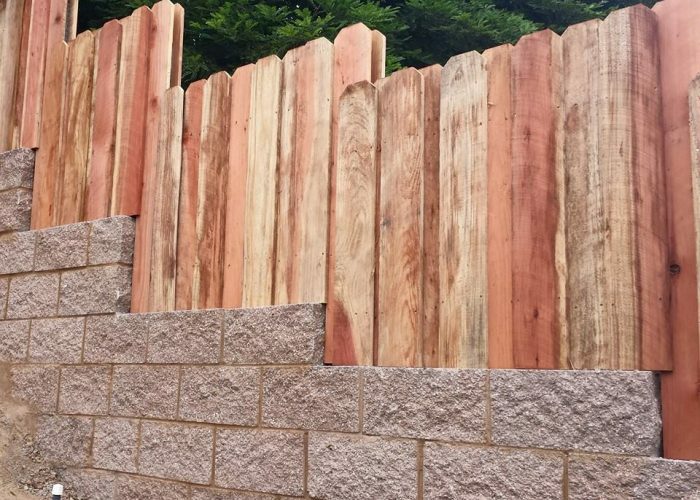 And to ensure that your wood fence will last for a lifetime, we also build concrete crowns around the base of each fence post to keep moisture off the post and prevent rotting. 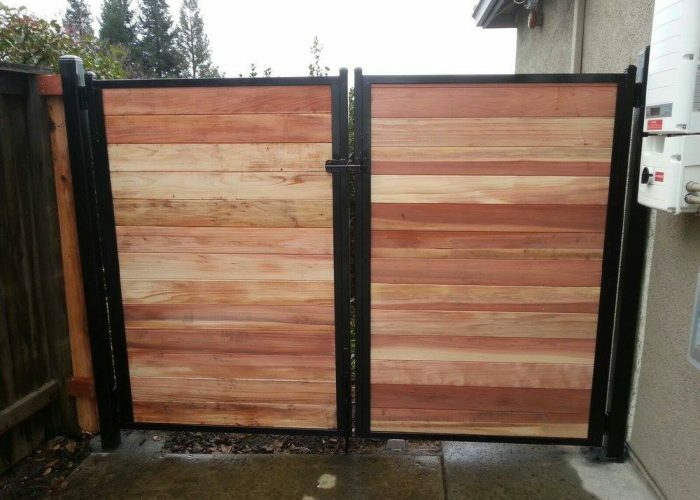 Gates are a doorway to your private living space. Because they will experience heavy use, they should be build with the highest quality wood and metal materials, installed to ensure they are functional and long lasting, and also be aesthetically pleasing and attractive. 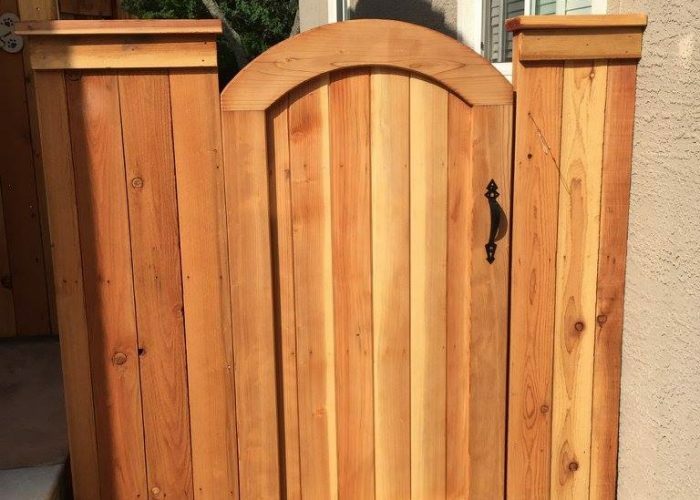 A gate can be an entry to a pool, courtyard, garden, or entryway. 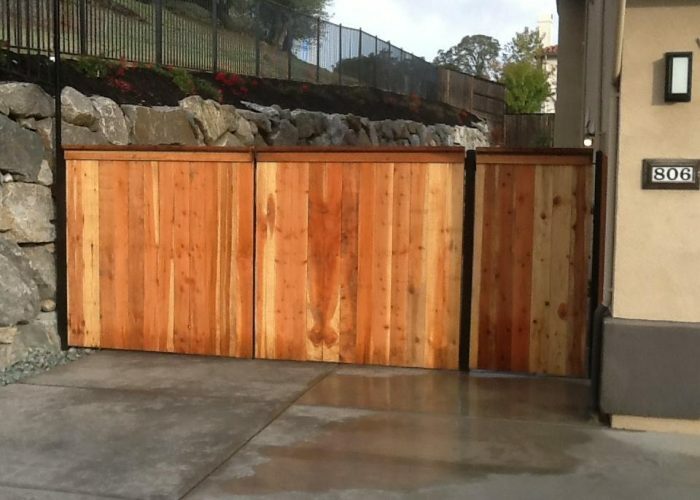 Depending on its location and the fence it is providing an opening for, there are many approaches and styles to designing and creating the perfect wood gate. 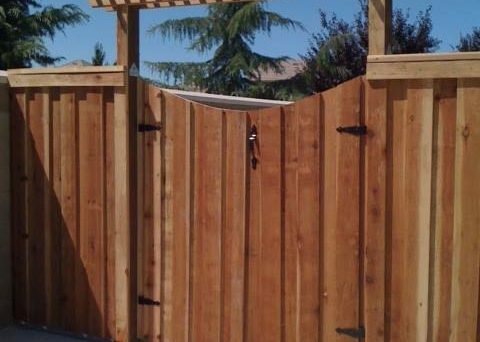 We offer gate operators, automatic gates, driveway gates, custom gates, courtyard gates, arched gates, sliding gates and wood gates for any application. 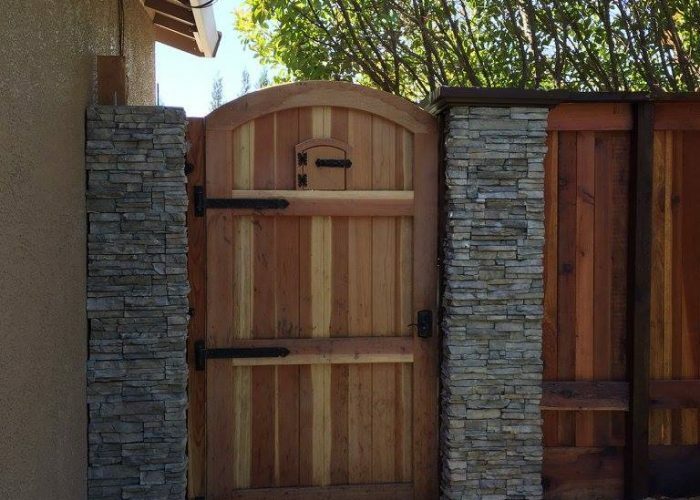 We take an old school approach—we design your wood gate and build it to ensure it serves its purpose and does it with style, whether the gate includes trellis and arbor work or any number of cap and arch styles. 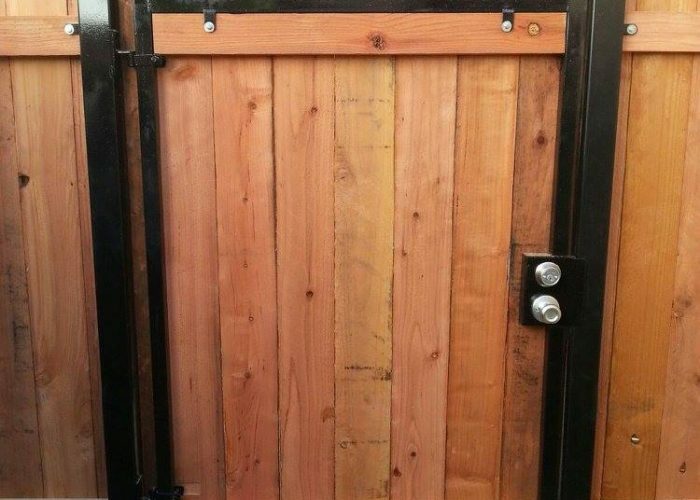 We also stain the wood gate to match its setting and can provide routered edges and designs to make your wood gate look stylish and unique. 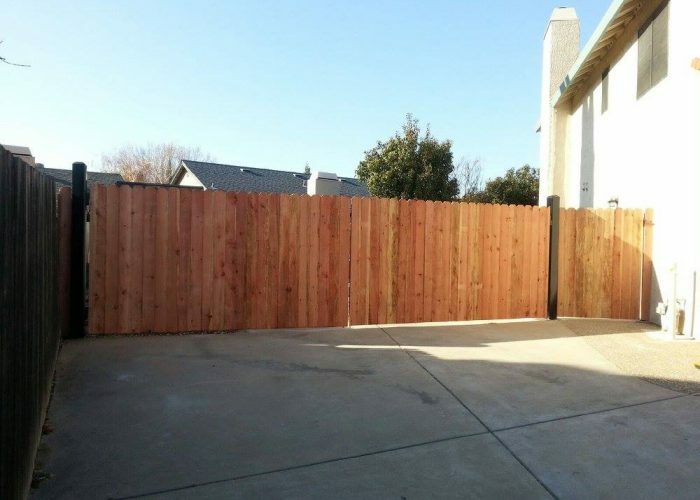 So when you are ready to replace an existing wood fence and gate or build a new one, call us at (916) 315-9405 or email us at sales@calsierrafence.com. We will meet with you at your convenience to provide a complimentary site assessment and proposal. 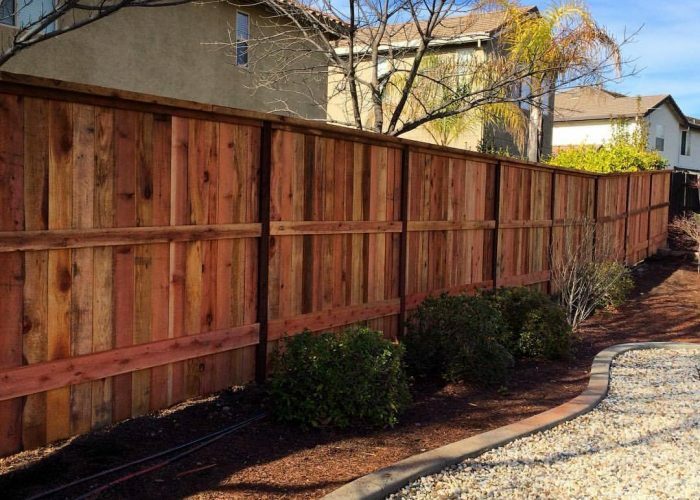 And we will build you a high quality, gorgeous, long lasting wood fence and gate that will compliment your home and surroundings.